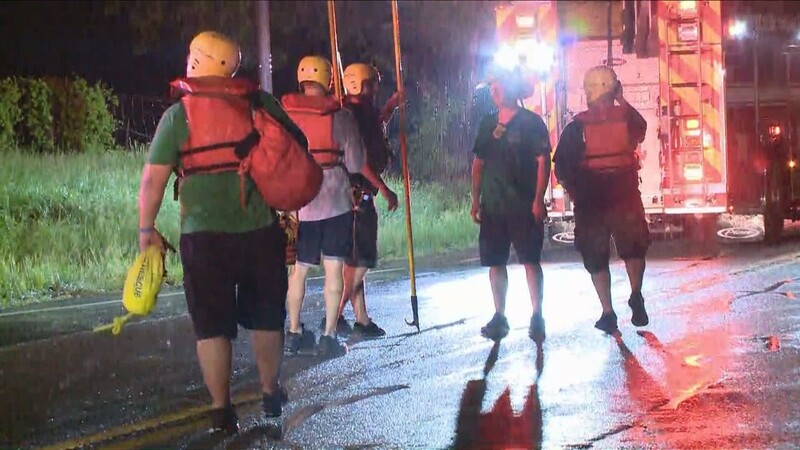 Multiple water rescues took place Tuesday night after severe flooding in Frederick County, Md. 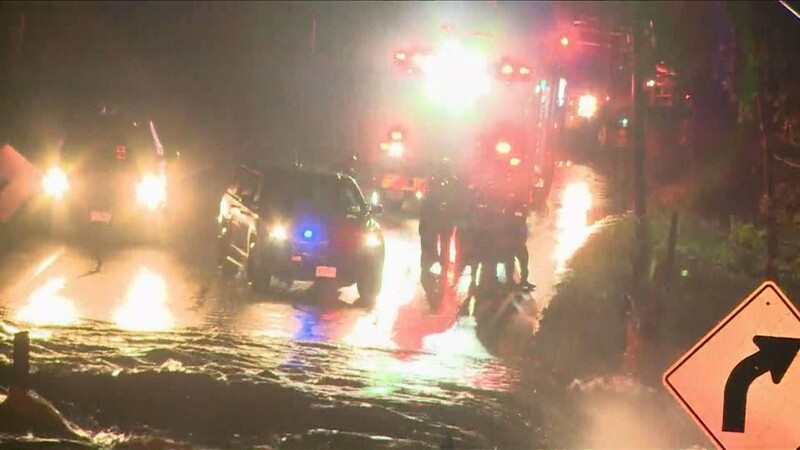 A Flash Flood Emergency was issued. 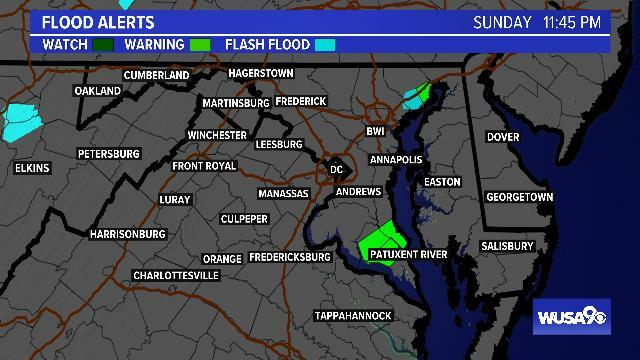 Slow-moving severe thunderstorms dropped, in some cases, up to six inches of rain Tuesday evening in Frederick, according to the National Weather Service. 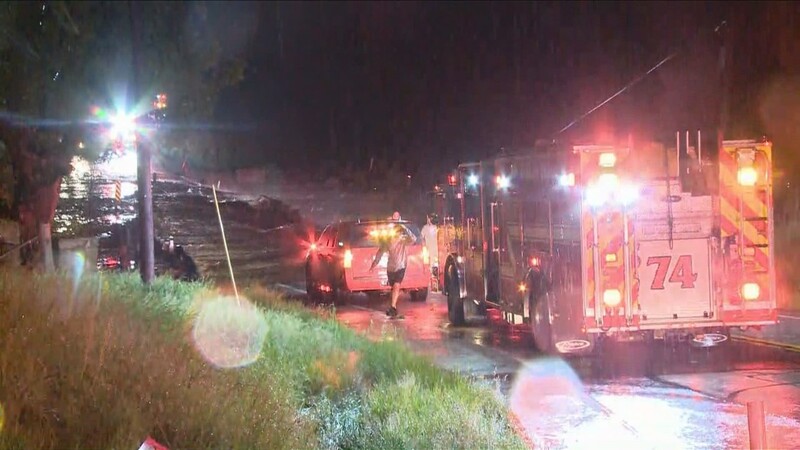 In Knoxville, Md., a man was swept away in his car into Little Catoctin Creek. 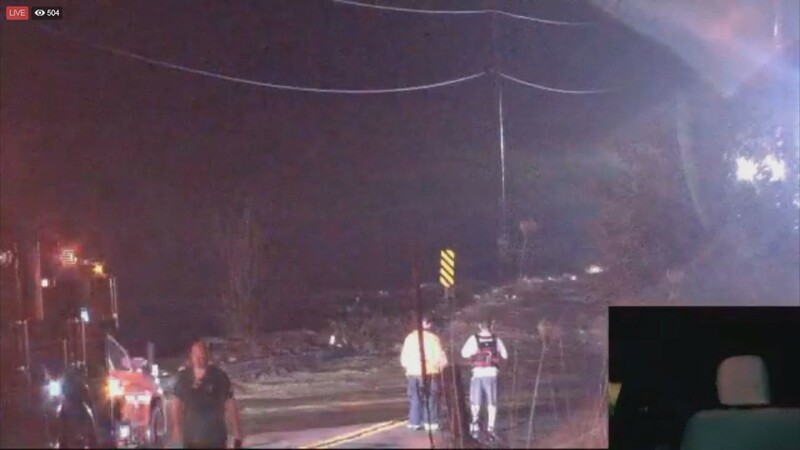 His car floated down the swollen creek for several hundred yards. 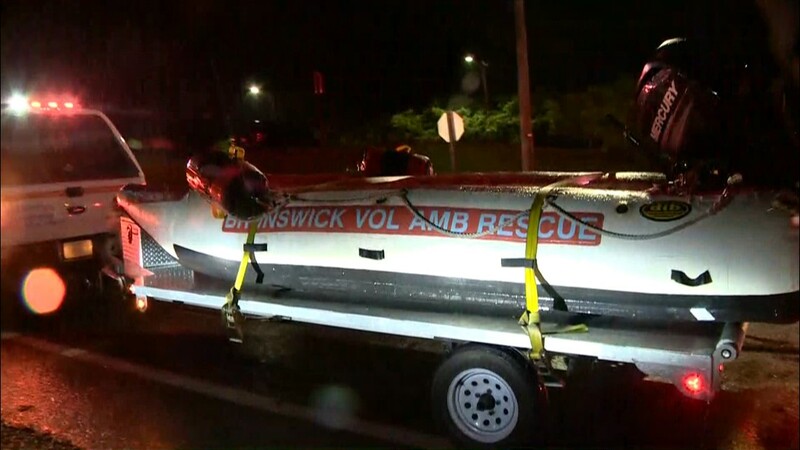 Luckily, he was able to get out of his vehicle and get onto a little island until rescue crews could find him and get him out of the water. Once on dry land, he was able to call his wife and go home. He didn't need to go to the hospital. 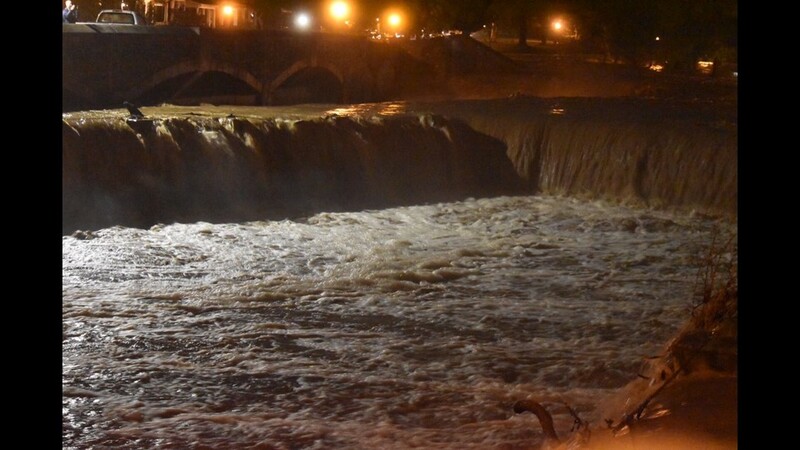 The banks of Carroll Creek, which runs through downtown Frederick, were actually overrun with water. 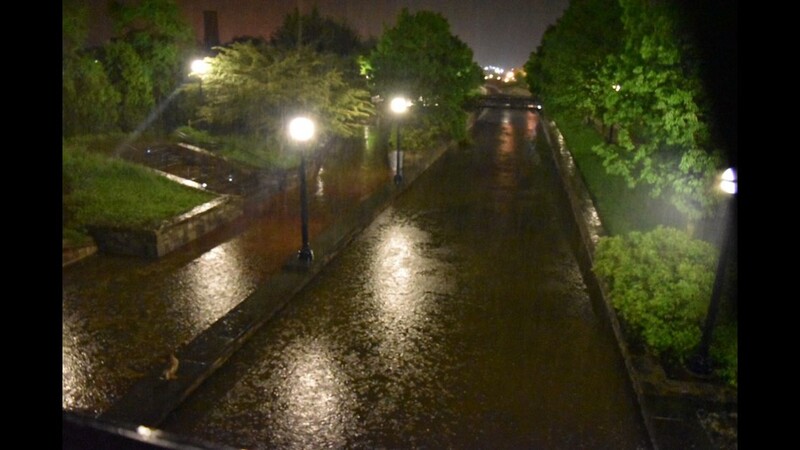 Downtown Frederick also flooded along North Market Street. 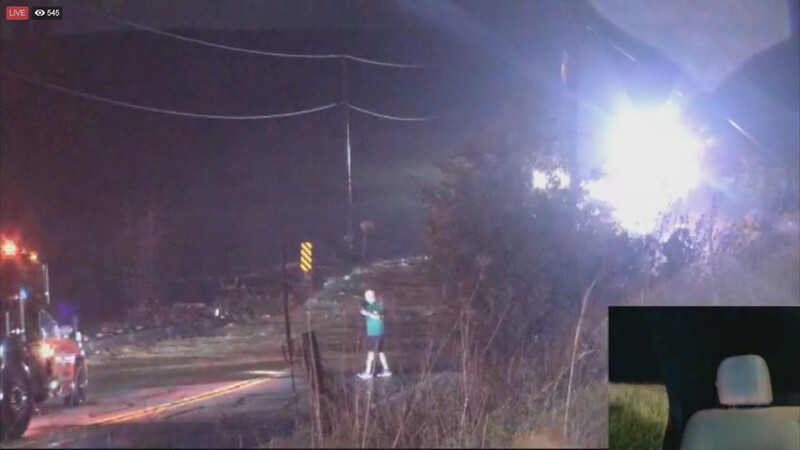 Eddy Urbina captured video as the weather event occurred. "The sidewalk, it felt like you were at the beach," he said. Along other parts of North Market, houses actually flooded. 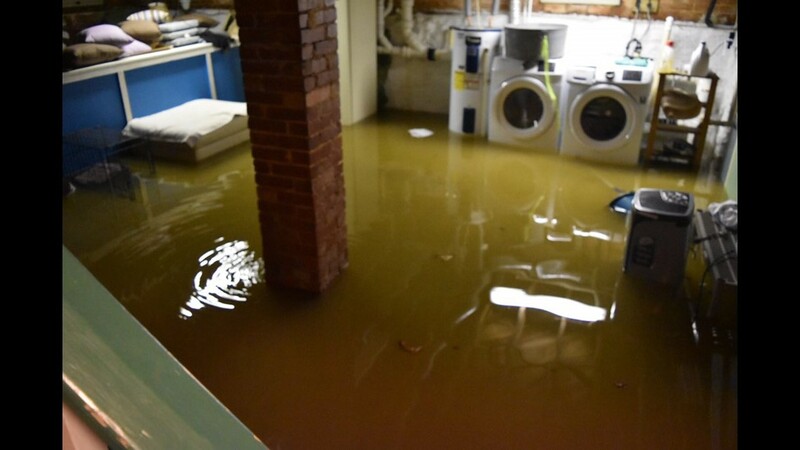 One woman told WUSA9 this was the second time her Frederick house had flooded in two years due to heavy rain. Market St. in downtown Frederick became flooded and impassable. 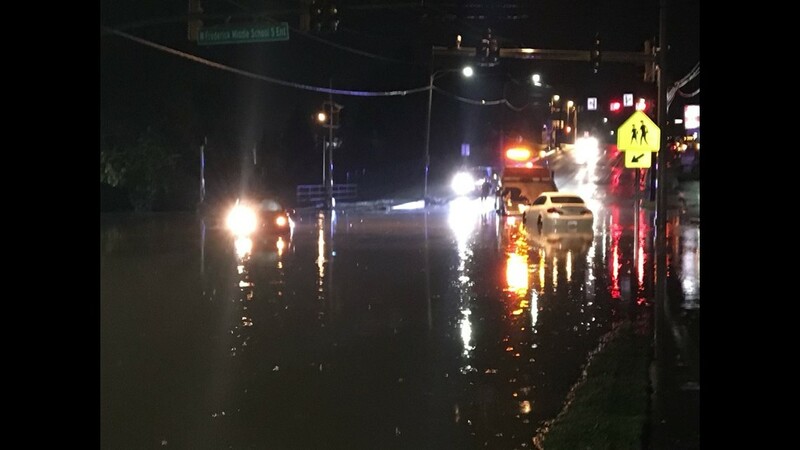 PHOTOS: Up to 6 inches of rain floods parts of Frederick Co.
Little Catoctin Creek in Knoxville, Md. West Patrick Street by James Street in Frederick, Md. 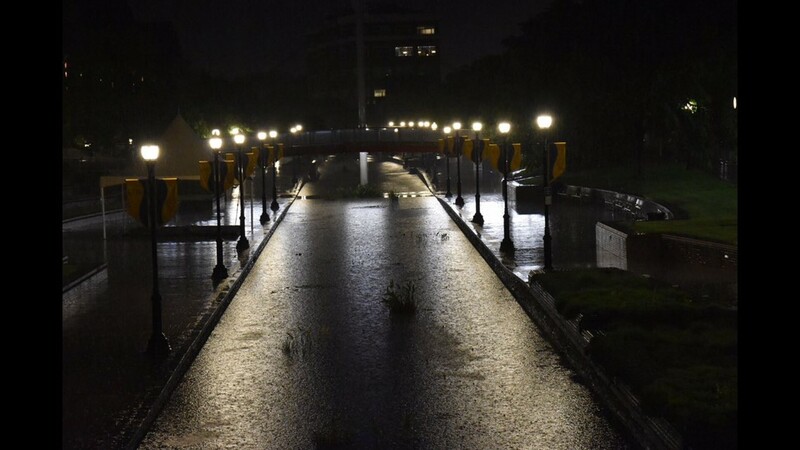 Frederick residents said is part of the city's water mgmt system to control flooding along Carroll Creek. 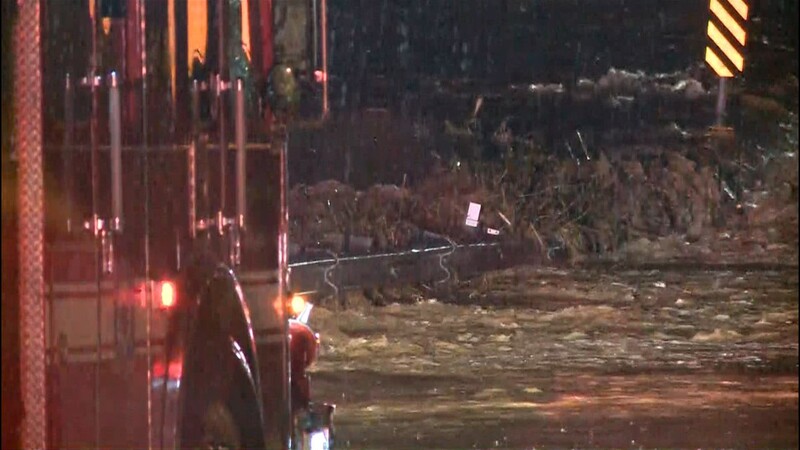 Some bad flooding occurred along Market Street in Frederick, Md. Carroll Creek in downtown Frederick, Md. 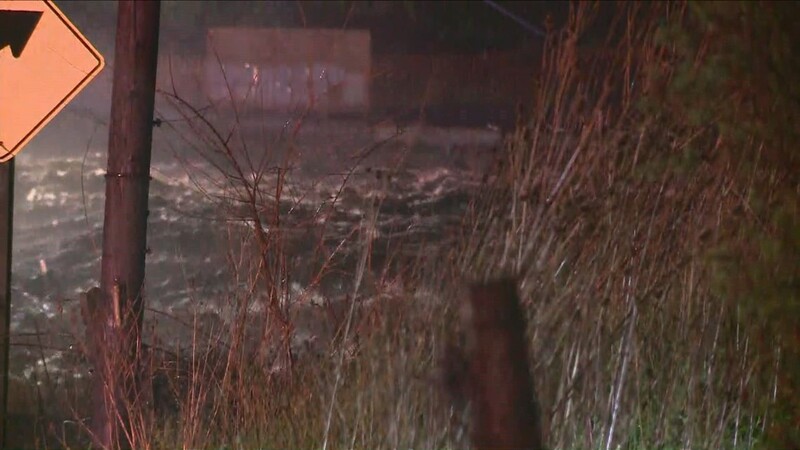 You can see the water is rising onto the sidewalks. 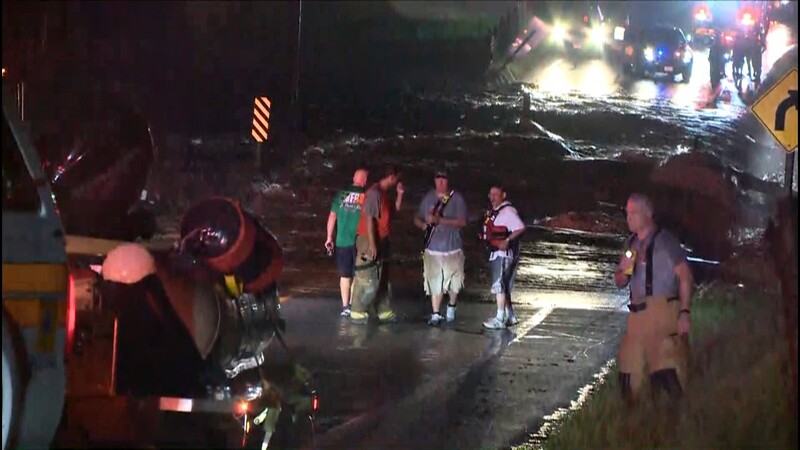 Swift water rescue teams were activated to rescue stranded motorists. 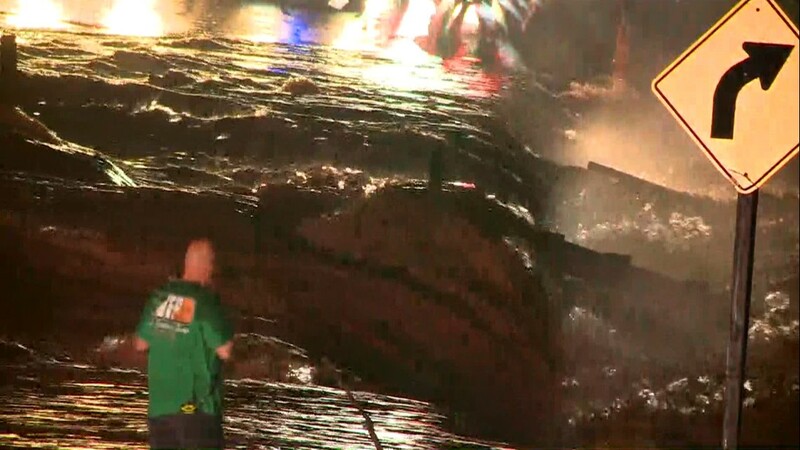 They took rescued civilians to a nearby Taco Bell parking lot. 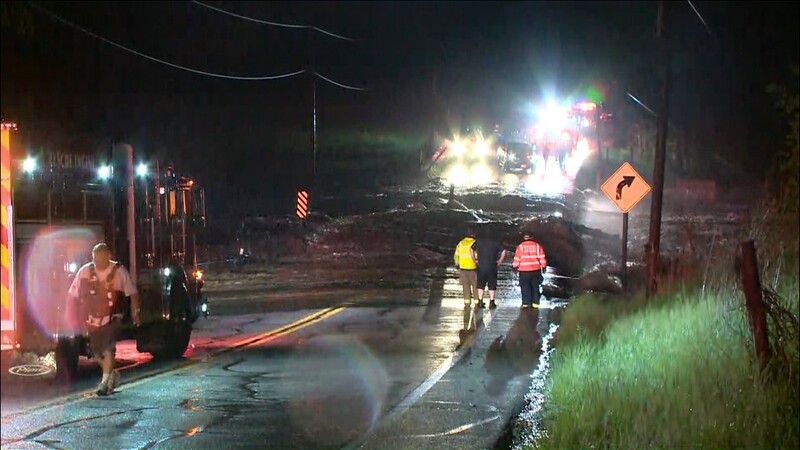 The Brunswick area was also been hard hit with flooding. Route 340 in Knoxville, Md. was underwater.